Kingzone defeats Gen.G in three games to solidify its fourth place standing in the LCK while SKT sweeps Hanwha Life Esports. Week 3 of the 2019 LCK spring split is done and dusted. To close out the fifth and final day, Kingzone defeated Gen.G for its fourth consecutive win of the split, setting up a head-to-head against SK Telecom T1 for third place in week 4. 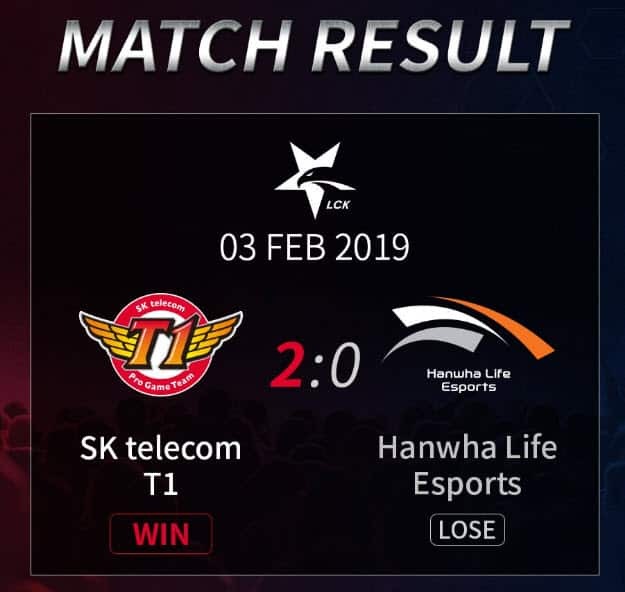 Speaking of SKT, the three-time world champions bounced back from their ugly 0-2 loss to Griffin with a dominant 2-0 victory over Hanwha Life Esports. Gen.G opened the score as Song “Fly” Yong-jun (Urgot) used his Ultimate to finish off Kingzone’s support Park “TusiN” Jong-ik (Alistar). Controlling the top side of the map, the 2017 world champions also secured the Rift Herald and released it to take the first turret. The game still remained close, with both sides securing an Ocean and an Infernal drake each. Gen.G finally found its break with a pick onto Heo “PawN” Won-seok (Akali) and secured the Baron as Kingzone accepted the trade, pushing the mid lane. The buff gave Gen.G some space around the map, as the team pushed in its bottom and mid lane waves. GEN decided to start Baron at the 38 minute mark and KZ contested the call. It looked like the fight would go Gen.G’s way thanks to a quick take down on Moon “Cuzz” Woo-chan (Jax), but KZ’s star AD carry Kim “Deft” Hyuk-kyu (Sivir) continued to hit freely from the backline to turn things around. Kingzone scored an ace and rushed into Gen.G’s base, ending the game just as their opponents spawned. Deft (Ezreal) stayed in the bottom lane by himself to secure some farm and Gen.G’s Park “Ruler” Jae-hyuk (Kai’Sa) forced a trade, winning the one versus one to grab the solo kill and the first blood. As Kingzone committed four players to a play in bottom lane, Gen.G released the Rift Herald on the top side to destroy the first turret while Fly (Zoe) also got the mid lane tower low on health, allowing his team to add a second one to the count moments later. Gen.G took control of the map as both bottom and top lane pushed in, reaching the inhibitor turrets. The team added two Infernal drakes and went for Baron at the 30 minute mark, securing the buff uncontested before setting up the siege on KZ’s base. The mid lane inhibitor was the first one to go down, forcing Kingzone to start a final fight as the team mounted a defense in the top lane. Despite losing Ruler, Gen.G scored an ace and tore Kingzone’s base apart to force the tiebreaker. Kingzone subbed in mid laner Yoo “Naehyun” Nae-hyun. Although the rookie mid laner did not take part in the play, first blood went KZ’s way with a well-executed three men dive onto Fly (Zoe). As KZ looked set to take the first turret on the top side, Ruler (Ezreal) sniped Cuzz (Xin Zhao) with a beautiful Ultimate to stop the play. In the end, Gen.G destroyed the top lane tower first and secured the bonus gold. Following a good pick onto Deft (Kai’Sa), Gen.G found an opening to go for Baron and secured the buff at the 27 minute mark. GEN pushed in from two sides of the map, with Kim “Roach” Kang-hui (Urgot), subbed in for the third match, splitting towards mid lane while the other four pushed in from the bottom side as the powerplay resulted in two inhibitors going down. 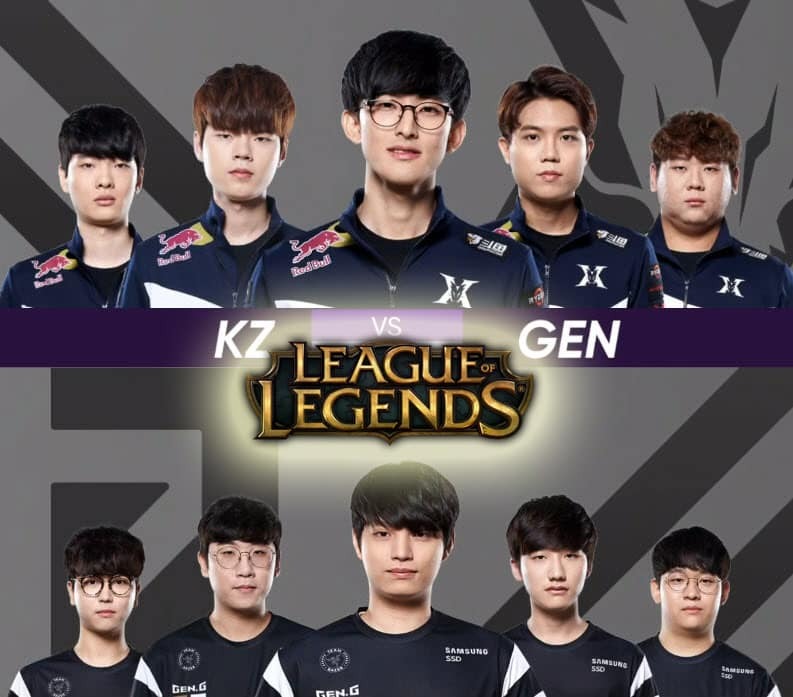 Gen.G looked set to win the game as the team started the second Baron while also having its minions knocking on Kingzone’s Nexus turrets. KZ still decided to take the risk and forced a fight around the pit. Deft’s great positioning once again paid off as the KZ AD carry forced Gen.G to back off while also picking off an out of position Ruler to stall the match. In the end, Kingzone secured the Baron buff as well as the Elder dragon while Gen.G looked completely lost. After 43 long minutes of play, KZ put the Baron buff to good use and slowly destroyed their opponent’s base as Gen.G simply couldn’t do anything against Deft’s massive damage. Kingzone finally closed out the series. The series opener was a one-man show. Kim “Clid” Tae-min, with his favorite Lee Sin pick, just seemed to be everywhere around the map. 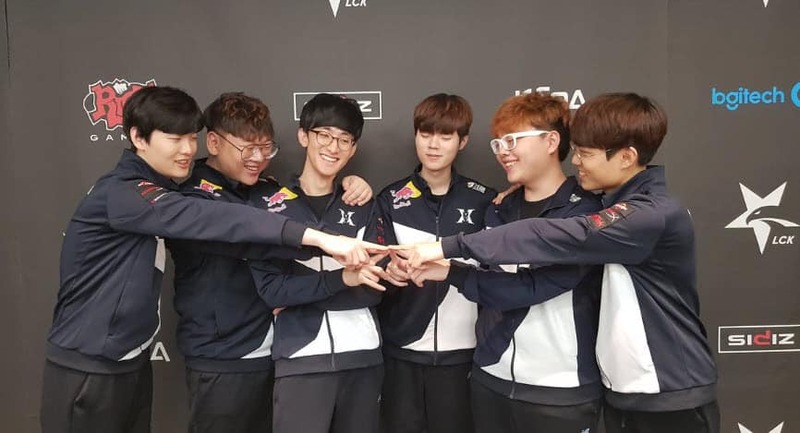 It all began with a mid lane gank to help Lee “Faker” Sang-hyeok (Galio), which led to SKT’s jungler picking up the first kill onto HLE’s Kim “Lava” Tae-hoon (Le Blanc). He followed it with a beautiful play in the bottom lane, adding a second kill on AD carry Gwon “Sangyoon” Sang-yun (Kalista). As SKT dominated the three lanes, it quickly snowballed as Hanwha Life’s bottom turret was the first one to fall. At the 21 minute mark, the HLE players had already been forced into defending their own base as SK Telecom T1 exposed the mid lane inhibitor. Hanwha found three kills to stop SKT’s push, which forced the three-time world champions to go for Baron. HLE tried to contest the call and jungler Kim “bonO” Gi-beom (Nocturne) even tried to steal the objective, but it didn not work out in the end as Clid secured the buff. Holding the Baron buff and an additional boost from two Mountain drakes, SK Telecom T1 had little trouble getting inside HLE’s base to take down the Nexus after 29 minutes of play. Clid (Elise) dictated the pace once again with a top lane gank. Kim “Khan” Dong-ha (Aatrox) showed off the composition’s dive potential and picked the first kill underneath HLE’s turret, taking down former SKT top laner Park “Thal” Kwon-hyuk (Kennen). The top side of the map became SKT’s focus, with Clid going for a second gank to snowball Khan. Following a lane swap, Hanwha Life’s tower went down as SK Telecom T1 shifted its priority to the mid lane. In a matter of minutes, it all went downhill for HLE. Faker (Sion) made some beautiful plays in sequence to help SKT secure three kills while the Rift Herald made its way to the inner turret only 16 minutes into the game. Thal tried to go for an engage in the bottom lane only to get bursted down almost immediately, leading to a clean ace for SK Telecom T1 at the 22 minute mark. It wasn’t enough to end the game just yet as the HLE players spawned just as SKT left the Nexus wide open. Playing it safe, SKT backed off, secured an Infernal drake and then went for the game. Hanwha Life’s Nexus went down at the 25 minute mark as SKT completed the sweep.